We’re rated #2 as The Best Custom Home Builders in Atlanta by Builder Digest Magazine! Any number of multinational corporations have their headquarters in Atlanta Georgia, and thanks to the strategic tax incentives that the state created for the film and television industry in the 2000s, you might be used to seeing this beautiful city of the deep south in some of your favorite film and television shows, including Atlanta and The Walking Dead. The city has been growing in population for while, but it is exploding in terms of its national influence. Starting a business or owning a home in this thriving, multicultural, historic city has never been more exciting. Across the greater Atlanta’s metropolitan area bungalow-style homes are a common sight, but many modern homes are beginning to replace the previous post-WWII era homes. And many homeowners and contractors are starting to look for ways to add distinctive touches to the city. Custom building a home is a great way to add style to these southern neighborhoods already known for their distinctive flair. 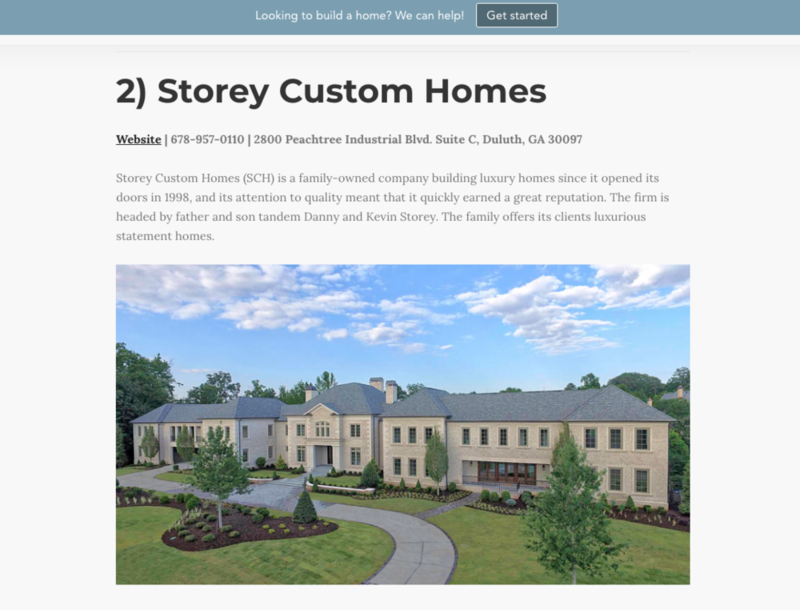 We’ve handpicked the top 14 custom home builders in Atlanta to help you with your home construction needs. We looked especially for contractors that have won awards, who have experience working with historic builds and have worked with a variety of home styles. Whether it’s a simple home remodel or a major custom home project, there’s a contractor on this list for you.